When thinking of cleaning, we inevitably think of cleaning detergents and different chemical solutions. They all pose a danger to your health, and the health of our family members and pets. At the end of their “life-cycle,” all Mass produced cleaners are being flushed to the sea or soak deep in the earth. So basically while you are trying to do something good and clean the windows, you are poisoning yourself and the environment. Not to mention how much money the average British family spends for the year supply of liquid cleaners. According to the page of Statista on average, if you are between the ages of 30 to 64, you spend close to 24 pounds a month. For a family with children, the number grows up to 50 pounds. 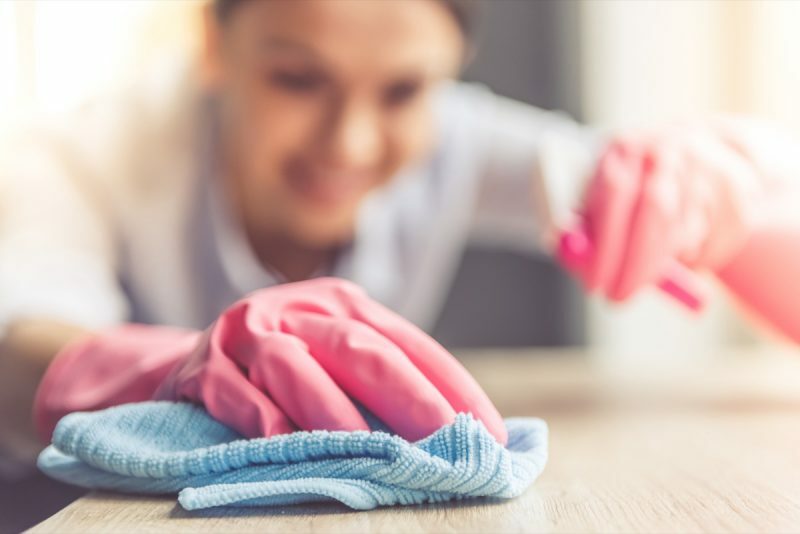 We would like to recommend some easy to make house cleaning solutions, that will cut your cleaning expenses and will reduce the negative print you leave on nature. Follow it with boiling water and a second cup of baking soda. Finish by pouring in one cup of vinegar. Plug the drain and wait for about 10 minutes. Put boiling water once again and your drain is now unclogged. Lemon juice possesses excellent cleaning qualities and on top of that, it leaves a refreshing aroma. clean and freshen up old plastic containers and bowls. remove rust from knives and blenders. Cleaning With Vinegar, Why Not? Vinegar can be used as a cleaner almost everywhere in the house. Why are Homemade Cleaners Better Than the Ones in Stores? The answer is really simple: most of the DIY cleaners are made from natural ingredients that can dissolve easily and not harm you or the environment. A thing that you constantly have to remember is that chemical cleaners are either ammonia-based or chlorine based. Those two substances are extremely hazardous on their own. If you take one careless step and mix them, you will cause a chemical reaction that will put you in the hospital with burned lungs an inability to breath properly. If you have adolescent children, is best to use homemade cleaners, at least while they are not old enough. If you live in London, you most definitely have access to all kinds of great eco-friendly solutions that you can add to your homemade house cleaner to make it more child-friendly. Put basil or lavender leaves in some of your cleaners, to tone down the smell of vinegar. You can also use different aromatic oils when cleaning the wood surfaces of your home.